We are looking for lots of parents to drive our cadets to locations! If you can volunteer to drive, please speak to a member of the sponsoring committee when you drop your cadet off and ensure you have a valid driver’s license and insurance. If you have questions, please email 758argusnewsletter@gmail.com for more information. Parents, please take care when dropping off your cadet. On Friday evening, there may be some overlap with the daycare and the parking lot will be busy. Please drive with care. All cadets are required to participate in 3 shifts of tagging. This is the squadron’s primary fundraiser and as such, all are required to contribute. Cadets will meet at LHQ (basement of the daycare) for all shifts. Cadets enter through the back door, while parents volunteering to drive enter through the front. Sunday, April 14, 2019: 10:30 am to 5:30 pm. NOTE: Optional ½ day (1 shift) is in the afternoon on Sunday 1:00 pm to 5:30 pm. If you arrive at 10:30 am, you are required to complete a full day (2 shifts). No exceptions will be made. Cadets who are staying all day on Saturday and Sunday will receive lunch money and will stay at the locations they are tagging at for their lunch. Cadets are reminded that they have 30 minutes for their lunch. Uniforms must be pressed, boots polished, hair groomed, etc. Cadets who do not yet have a uniform are required to meet the same standard in what they wear. We are in the public eye and as such, are representatives of the cadet program as a whole. Cadets who are fooling around, slouching, chewing gum, etc. are not a positive reflection of the squadron and the program and will be cautioned accordingly. Permission Forms page has been updated with new forms for upcoming activities. Cadets and parents/ guardians are encouraged to meet the timeline for for submitting permission forms as there will be NO extensions. Cadets have the opportunity to participate in a tour of the Canadian Warplane Heritage Museum. Cadets are required to submit a non-refundable $10.00 fee, along with the permission form. This will cover the cost of transportation and the entrance fee into the museum. Cadets will be responsible for any purchase of food or snacks. Form and fee of $10.00 are due no later than April 8, 2019. Range/ Marksmanship Day is part of mandatory training for all cadets. Permission forms are due no later than April 15, 2019. Parent/ Guardian to drop off cadets at Sheraton Gateway Hotel located at the Toronto Pearson International Airport no later than 0730hrs (7:30am) both on Saturday, March 23rd & Sunday, March 24th. Cadets are to be picked up from the same location on Saturday, March 23rd at 1630 (4:30pm) and 1530hrs (3:30pm) on Sunday, March 24th. Dress for both days in C2. This information applies to the below cadets ONLY. There is no parade night tonight and all practices are cancelled for this week due to March Break holidays. Training and practices will resume next week, March 18, 2019. Band practice is cancelled for Tuesday, March 5, 2019. Practice will resume next Tuesday, March 19, 2019. For any cadets interested in participating in any of the below Scholarships, please read carefully for upcoming application deadlines! NAV Canada: Explore Aviation Summer Camp 2019 – Not a scholarship opportunity, but for any senior cadets that are not attending summer camps. Ontario Aerospace Council: OAC Scholarship for Aerospace Studies – For any senior cadets in post-secondary. 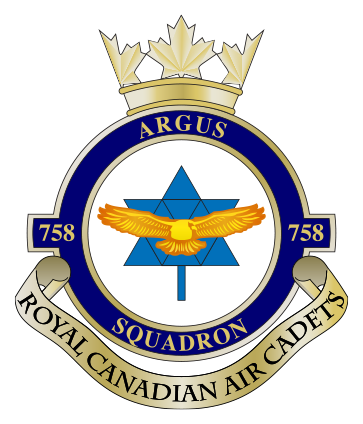 The links below will provide more information about this great opportunity available to deserving Air Cadets. All WOs and FSgts are expected to attend, the course will be conducted on the last Friday of each month beginning February to April (Feb 22, Mar 29 & April 26). The course will run from 1830 – 2130hrs, cadets to dress in C2. Cadets competing in the Zone Marksmanship Comp. are expected to report to LHQ no later than 0645hrs to board the bus. Parent/ Guardian to pick up cadets from the same location at 1800hrs. Drill team practice for Feb 26th will be at LHQ. Band practice will be at Holy Name of Mary. Drill team members are to bring their uniforms, show shone kits etc. Band practice is cancelled for Tuesday, February 19, 2019. Practice will resume next Tuesday, February 26, 2019. In addition to the Saturday practice for range team, there will be Range Team Practice on Sunday, Feb 16, 2019 from 1500hrs – 1900hrs. Due to inclement weather, both drill and band practice is cancelled. Practice for both teams will resume next Tuesday, February 19, 2019.